Athens did well for several years under this system but ultimately suffered a bad defeat in a war for which many citizens blamed the existing system. Since then that system of participatory democracy has never been put forward as a model. Still, the experiment was interesting, and has since provided an ideal at which all democratic societies have aimed, in trying to maximize the participation and the power of all people in government. The next important experiment in democracy was the Roman, where too final authority lay with representatives elected by the people. Though systems of administration in other parts of the world have been described as democratic, with councils of elders in villagers for instance, these were not institutionalized as ultimate authorities. Power in the end lay with kings, and it was from them that others, governors or advisers or elders, derived authority. In Athens however, as later in Rome for nearly five hundred years from the 5th century BC onward, power actually belonged to the people and to representatives they chose. Rome chose its executives through election and also had a Senate, which began as a consultative body of former executives. 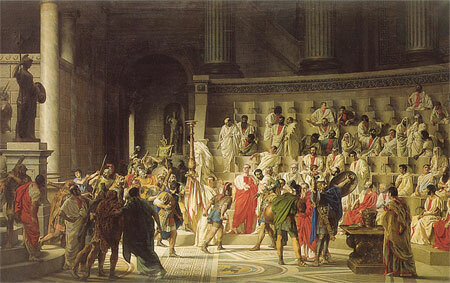 Given the seniority of its members, the Senate had tremendous authority, and turned in effect into a legislature, where all new laws had to be passed. 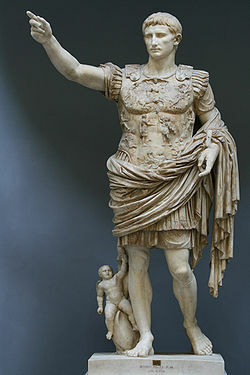 Gaius Julius Caesar Augustus (23 September 63 BC – 19 August AD 14) was the first ruler of the Roman Empire. However, towards the end of the 2nd Century BC, as Rome took possession of the entire Mediterranean, the system of government found itself unable to cope with rapid social changes. After a series of Civil Wars, Rome returned to one man rule under Augustus Caesar, who established a system that proved widely acceptable. The Roman Empire lasted for nearly five hundred years in Western Europe, and for a thousand years longer in Eastern Europe. This helped to re-establish monarchy as the ideal system of government, and it was only very slowly that the ideals of democracy were resurrected. During the Renaissance, the period during which Greek and Roman learning was revived in Europe, a few Italian city states had some forms of democracy. But these too ended up under the rule of autocrats, or became parts of larger kingdoms. At the beginning of the modern period then, the 16th century, when Europe began to exercise power over the rest of the world as well, after reaching Asia and the Americas, it was dominated by large empires and kingdoms ruled by monarchs. But as wealth increased, and more people began to feel the need to participate in government, demands for democracy developed. Study of Classical authors helped to establish the idea of the State as involving some sort of social contract, whereby the rulers were bound to act on behalf of the people. If they failed to do this, they could be challenged. The concept of a divine right of kings, the idea that the State belonged to the monarch, lost credibility. 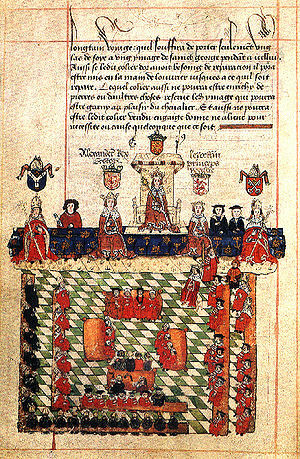 The English parliament in front of the King, c.1300. In England Parliament emerged in the 17th century as an institution able to challenge the executive power of the king. And in the 18th century two revolutions, the American against the English King, and the French against their own King, established the idea that government essentially belonged to the people, and required their consent. Even though at the beginning of the 19th century the kings of Europe tried to restore the old order, this was only temporary. Monarchs lasted in most countries until the 20th century, but they had to accept parliaments which gradually increased in authority. Those who resisted longest were swept away, during the First World War, whereas those who had compromised earlier, such as the English King, kept their thrones though decision making powers passed to the elected representatives of the people. In the 20th century another version of democracy was current for some time. This was the notion that democracy, or the power of the people, meant not that they chose their government but that they had a government that acted in their interests. This was institutionalized in Communist countries, which often called themselves Democratic Republics, but which did not allow elections in which people could choose from alternatives. The assumption was that the Communist Party, usually the only political party allowed to function, represented the people and ensured that they got all they needed. 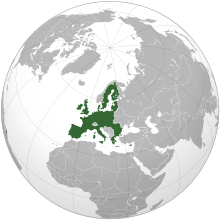 This notion of democracy proved untenable, as became clear when people throughout Europe opted for multi-party democracy towards the end of the 20th century. Doubtless some Communists were sincere in believing that they had the interests of the people at heart, but in practice communist regimes, though initially they helped correct some gross inequalities in countries with almost feudal structures, were unable to satisfy the aspirations of societies as they developed. So before long they gave way to more open systems of government, in which democracy meant the power to turn out governments if they proved unsatisfactory. It is now practically universally accepted, then, that democracy means the power to choose, with regular elections in which people choose the executive branch of the government as well as a parliament which acts as a lawmaker. But, particularly for countries that adopted the British model, a more serious question has emerged as to the limits of democracy, or the limits to the powers that can be exercised by a government or by a parliament. In Britain, which has never had a written constitution, the assumption is that Parliament is sovereign, which means its powers are unlimited. This has now changed, in that Britain is part of the European Union and has to abide by the rules of that organization, but in other respects the British parliament can in theory make any law it likes. In actuality the British have certain conventions that help to ensure that power is not abused, and there is also a healthy judicial system that ensures that obviously unjust laws are not passed. Such conventions have not however been established in many countries that obtained their independence from Britain in the course of the 20th century. So the assumption developed that, once a parliament had been elected, its powers were virtually unlimited. Unfortunately this resulted in duly elected governments abusing the power with which they had been entrusted. An obvious instance of such abuse is when a government extends the term for which it has been chosen. The claim is that the people have chosen the government, and therefore, if it wishes to extend its term, this is what the people want. But this ignores the fact that a government is elected by the people for a particular period. If the people want the government to continue, they can vote for it again. Increasingly therefore people have realized that there must be limits to what parliament can do. What are termed basic rights have to be entrenched in a Constitution, and parliament should not be permitted to change these. Some of these special provisions may need to be changed under particular circumstances, but this requires consensus and therefore special majorities may be prescribed. But there are some rights, such as the right to life, which even an overwhelming majority cannot take away from any individual. Democracy, it is recognized, means power to people as individuals, and their individual identity cannot be subjected to the decisions of a majority, however large. Another unfortunate legacy which the British left behind in their former colonies was a voting system that led to governments that did not truly represent the people they governed. In Britain, members of parliament are selected to represent particular constituencies or electorates. Whoever gets the highest number of votes in an electorate is elected as its Member of Parliament (MP). If there are several candidates, an MP can be selected with the support of less than half the electorate. Since the government is formed by the party that has a majority of seats in Parliament, a government can come to power with the support of fewer than half the voters in the country. In many countries in Europe, to avoid this system whereby a winner by a small amount, that is not even necessarily a majority of the whole vote, obtains total power, elections are conducted on a system of proportional representation. 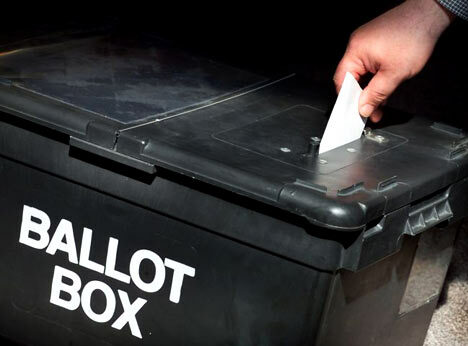 Parties obtain seats in Parliament in proportion to the votes they obtain. This can be on the basis of electoral districts, or even the country as a whole. This is clearly more fair than the British simple majority system. However it means the MP becomes a party functionary rather than someone with close ties to a particular constituency. To overcome this problem, while maintaining fairness, the Germans developed a system that combines features of both the Simple Majority system and the Proportional Representation system. On the German system, half the seats in Parliament are elected on a constituency basis. In addition voters cast votes for a party and those votes are counted separately. The final composition of Parliament reflects these votes proportionately these votes. In order to achieve this, the remaining half of the seats in Parliament are allocated to give each party a total corresponding to the proportion of the votes they obtained. Thus Parliament reflects the desires of the people accurately, while also ensuring contact between the people and their representative in Parliament. It is argued that this system leads to weak governments, whereas a Simple Majority system gives governments a solid majority. But having such a solid majority, which does not reflect the will of the people, often leads to abuse, and causes resentment that creates more serious problems for a country. Contrariwise, as coalition governments in Europe have made clear, a government sensitive to the needs of a wide range of its people tends to do a better job. And as parties accept the necessity of compromising, they adjust their expectations and moderate the rhetoric that contributes to unnecessary divisions and hostility. The idea that the winner takes all after an election has caused tremendous problems in many democracies. It reduces the need for constant consultation that will contribute to continuity of policy. It also leads to neglect, in pluralistic societies, of the needs and aspirations of minorities. This means most obviously racial and religious minorities, but full power based on a parliamentary majority arising from a limited proportion of the vote can also lead to neglect of particular regions and social groups, even though they are part of the majority in a country. Constitutional safeguards, in the form of entrenched provisions, go some way towards ensuring that actual discrimination is limited. However, in order to positively satisfy the needs of all these groups, constitutional safeguards alone will not suffice. Increasingly therefore States have begun to realize that positive empowerment in the form of regional structures of governance are necessary, if the particular needs of segments of society are to be addressed. A central government cannot appreciate and respond actively to the special needs of regional areas with a devotion that an administration concentrating on that unit alone can supply. The argument that devolving power to smaller units will cause problems cannot be sustained if the process of devolution is systematic. Certainly there are issues that are best handled centrally, and those must remain the prerogative of the central government. But assuming all issues are best handled centrally is clearly nonsense. And the argument that devolution can lead to separation is no more valid than the argument that failure to devolve also leads to separation. Historically indeed the latter has caused separatist movements more often than the former. The argument that devolution suits only large countries also makes no sense, since what rational devolution supposes is that authority is devolved in accordance with convenience rather than abstract principles. Larger units may require more powers, but smaller units can also exercise some powers in a manner that will benefit their peoples. One of the most successful examples of a country that has remained unified despite marked differences amongst its people is Switzerland, one of the smaller countries in the world, which allocates considerable powers to the several cantons which constitute it. The Swiss in fact evolved a principle called ‘subsidiarity’, which means that no unit exercises powers that can more appropriately be entrusted to a smaller unit. If we go back to the functions of government that we discussed in the second chapter, this would mean that the main function of government, which we termed security, would be exercised for the most part by the central government. National defence obviously has to be organized centrally, as have the main points of justice and finance. However, when it comes to issues of welfare and infrastructure, local agencies are likely to understand and respond better to the actual situation. Schools for instance, or roads, are better administered by units directly responsible to those who use them. We can even go further and note that issues involving individuals are best left to those individuals, or families, to decide. Religion and culture, sports and art, marriage and sexuality, are matters for individuals, provided they do not harm other members of society. So are matters of food and drink, housing and schooling. This does not mean that governments, local or central, have nothing to do with such subjects. Providing essentials to those who do not have them, facilitating developments in those areas where people necessarily interact, regulating behaviour in a manner that ensures the freedom of others as well, are necessary adjuncts to permitting freedom of choice and action to individuals in these areas. But the idea that government should have powers of control in these areas goes against the very basis of democracy, which is the empowerment of people. The power over themselves that people have handed over to government should be limited to those areas where such powers are necessary for the smooth functioning of society. Devolving power in appropriate areas to local institutions should then be an axiom of democracy. Which areas are appropriate, the extent of devolution, the areas where national policy needs to be centrally formulated while being implemented locally, are all matters to be decided through study and discussion. But reserving powers to the center as a matter of principle is a throwback to the days of autocratic government, which modern democracies should avoid. However, in any State, there must necessarily be some matters that are reserved for the central government. And since these will be the most important of the powers of government, it is also necessary, even while practicing devolution as to other matters, to ensure that decisions in these reserved areas are not the prerogative of the majority alone. It is for this reason that, in many successful states, there are dual systems of representation in Parliament. The main part of Parliament, or the First Chamber as it is often called, consists of representatives chosen from the country as a whole. But many Parliaments also have a Second Chamber, which is selected on quite another system altogether. In most such cases this Chamber is weighted towards the regions. The most extreme instance of such weightage is the United States Senate, in which each State, however big or small, has two representatives. But even elsewhere, as in Second Chambers in India or Germany or Australia, though we do not find such absolute equality, the smaller states or provinces have a greater presence than they do in the First Chamber. The balance of power between the two chambers varies from country to country, though generally the First has much more power, and in particular power with regard to finances. However, where constitutional matters are concerned, or matters concerning devolution, the Second Chamber has a vital role to play. Apart from the principle involved, that on matters concerning particular segments of society, the views of those segments should be given weight, the institution of a Second Chamber also contributes to promoting the unity of a State. Representatives from regions who would be overwhelmed in the First Chamber have a status in the second that will facilitate their active participation in debate and discussion. Recognition of their role also enhances appreciation of the activities of Parliament as a whole in the regions they represent. And their involvement in decision making at the center increases the sense of involvement of all regions in the State as a whole. Switzerland indeed prescribes that the central Executive should include representation of all regions. Though that may be difficult to implement in larger countries, it should be a goal of government to maximize participation of all stakeholders. Forming cabinets that consist, as far as the important portfolios go, of Ministers representing a few regions or a single community is a recipe for disaster. Democracy means the power of the people, and power therefore should be seen as being shared by representatives of a wide cross-section of the people.